It was a nice sunset driving home. Parked the car and spotted these weird looking plants. 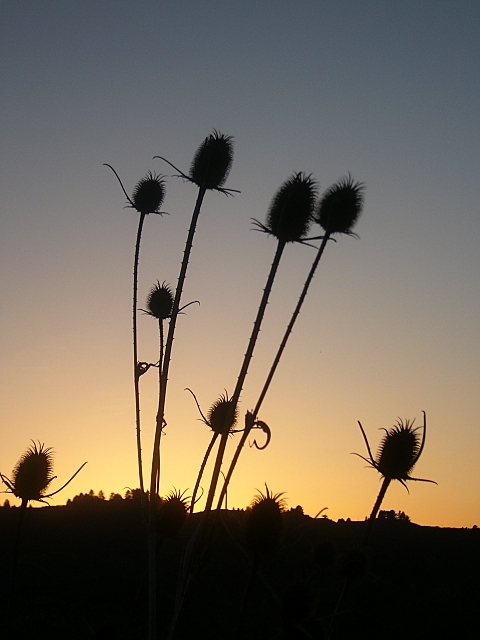 Nice shot, looks like teasel (no aliens this time :-) ).